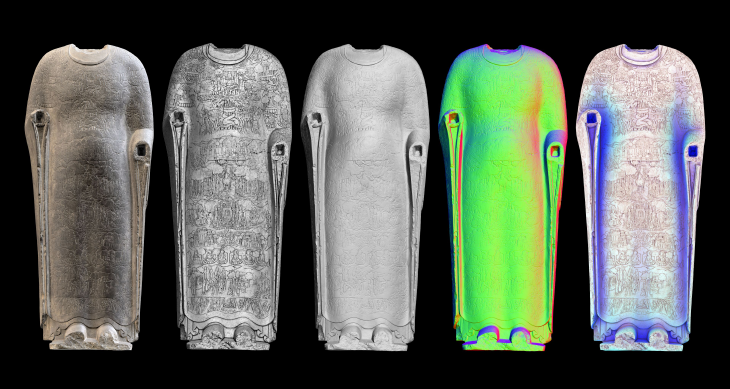 The Smithsonian Institution, a group of museums and research centers administered by the United States government, has started 3D scanning its artifacts so that users can explore three dimensional models of the relics. These 3D models can also be 3D printed to allow students, teachers, curiosity-seekers, and everyone in between to hold these ancient artifacts in their hand. Examining the 3D model allows users to see details that would be missed even when seeing the object in the museum. The Smithsonian has partnered with 3D software developer Autodesk to create the Smithsonian X 3D Explorer. The Explorer allows users to rotate, measure, and adjust color and lighting of the artifacts. One neat feature is the storytelling option that allows curators and educators to create guided tours of the object. The 3D models are downloadable for personal and noncommercial use and can be used by teachers in the classrooms as tools. 3D Systems is also working with the Smithsonian to scan, design and print objects from a number of Smithsonian museums. Other sponsors of the Smithsonian’s digitization program include Direct Dimensions Inc., FARO Technologies Inc., 3D Systems Geomagic, API Services and Interactive Institute Swedish ICT. This is an impressive project that will likely take lifetimes to complete. How does the Smithsonian prioritize which items will be scanned? For this pilot project, we focused on objects in which the technology could help us learn new things or to tell a story in new ways. Instead of using technology for technology’s sake, we wanted to make sure that our efforts enhanced the work that we are already doing. Will there be scans of objects in every collection? Is the Smithsonian scanning each new acquisition from here on out? How will this impact education and the future of the Smithsonian? We receive 30 million visits to our museums each year, but with technology like this we can reach billions. As 3-D printing becomes ever more accessible, we envision schools being able to print out replicas of our objects and use them in the classroom to teach everything from U.S. history to paleontology to astronomy. What have these sponsors have contributed to the project: Direct Dimensions Inc., FARO Technologies Inc., 3D Systems Geomagic, API Services and Interactive Institute Swedish ICT? They provided in kind donations through work such as scanning, post processing, equipment and printing services. Autodesk built the 3D explorer, which uses WebGL technology that allows users to interact with the content without having to download any software plugins. What is the overall goal that the Smithsonian hopes to achieve with this project? We want to make our collections and research available to everyone. Metallo’s answers show that with the help of 3D scanning and printing, the Smithsonian is well on its way to make learning accessible, fun, and interactive for students, teachers, and people who just want to learn more. We look forward to seeing more scans and discoveries from the Smithsonian.